A vacant building at 4030 Evans Ave. owned by the city's Land Reutilization Authority. Prop NS would allow the city to issue up to $40 million in bonds to help stabilize such buildings. Supporters say vacant buildings are a problem that continues to grow. Already, the city’s Land Reutilization Authority owns more than 3,500 of them. 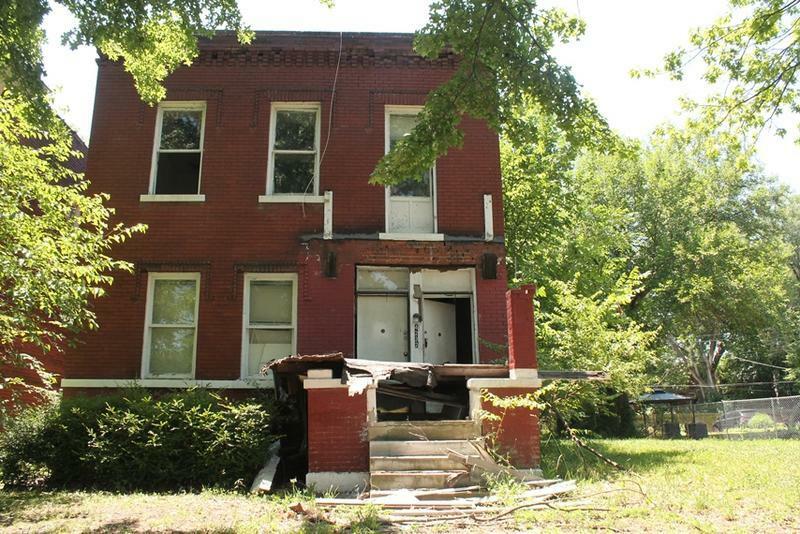 “Vacant properties in the city are a huge problem and they’re kind of a silent problem,” said Stacy Ross of Neighbors for a Stable St. Louis, the group that helped collect petition signatures to get the measure on the ballot. Ross said while homes near vacant buildings lose value, taxpayers across the city are affected, too. “There are an inordinate number of fire calls and police calls, and we pay to mow the lawn,” she said. The measure would allow the city to spend up to $30,000 to stabilize vacant single-family homes or up to $50,000 on multi-family units with six or fewer units. That would mean work on foundations, roofs, exterior walls to keep the buildings from deteriorating further. The idea is that the properties would then be more likely to sell at a public auction and return to the city’s tax rolls. There has been no organized opposition to Prop NS. Otis Williams, executive director of the St. Louis Development Corporation, said his agency, which oversees LRA, is not taking a position. At the same time, he admits the bond issue could be helpful. “We appreciate any support by anyone to assist, whether it’s to mothball, secure or market vacant buildings,” Williams said. The ballot measure does not include any language regarding specific vacant buildings to be stabilized or how that will be determined. Ross said her group has proposed a commission made up of neighborhood members, realtors, bankers and engineering experts to come up with an application process and a point system for deciding which properties should be stabilized. "Then they would make a recommendation to the LRA, and the LRA would make the ultimate decision,” she said. 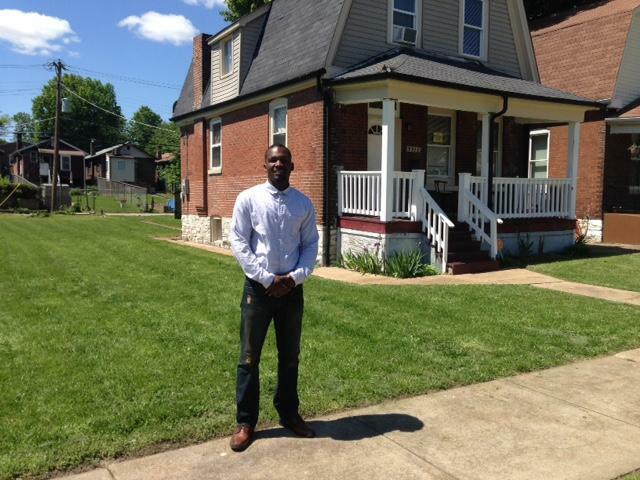 Walnut Park East neighborhood resident Sundy Whiteside has been working in support of Prop NS. She said her neighborhood, which is on the far north side of town, looks war-torn because of all of the vacant properties. Whiteside said she bought an LRA property next to the house where her mother and grandmother live. She said she did that after making numerous calls to police to keep thieves and even children out of the vacant building. She paid $750 but is having trouble paying to stabilize it after a contractor did what she said is shoddy work. “Maybe if I had paid $2,000, but it had a new roof, it had new doors, it had some masonry work done, maybe I would not be in the predicament that I’m in,” she said. Whiteside is hoping to renovate the house for her daughter, who soon will return home from college. She said Prop NS could be one way for the city to help her neighborhood keep current residents and attract those who left. 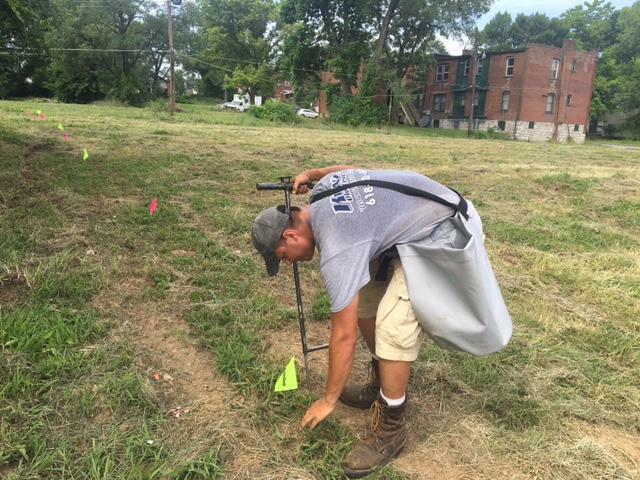 A small crew spent Wednesday morning planting poplar trees on several parcels of vacant land in St. Louis’ Wells-Goodfellow neighborhood. A company called Fresh Coast Capital is leasing 42 parcels from the city’s Land Reutilization Authority for $1 a year. The city will receive about 2 percent of the revenue when the company harvests and seels the hybrid poplar trees in 10 to 12 years. 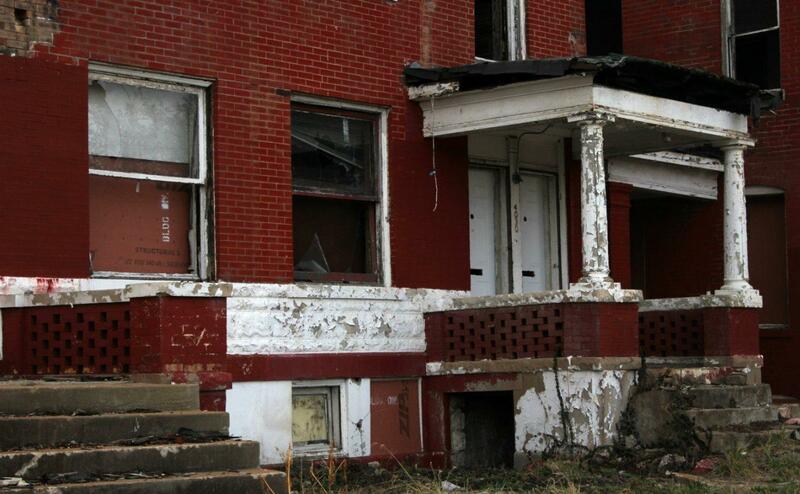 The Metropolitan St. Louis Sewer District could spend up to $13.5 million demolishing abandoned buildings in the city. MSD’s board approved an agreement on Thursday with the city’s Land Clearance for Redevelopment Authority. The move was long in the making. MSD has already demolished about 220 vacant building through a pilot program started back in 2010, and in 2015 the district announced it would do more.